These are pretty common and I’m sure you must have seen a dozen tutorials. 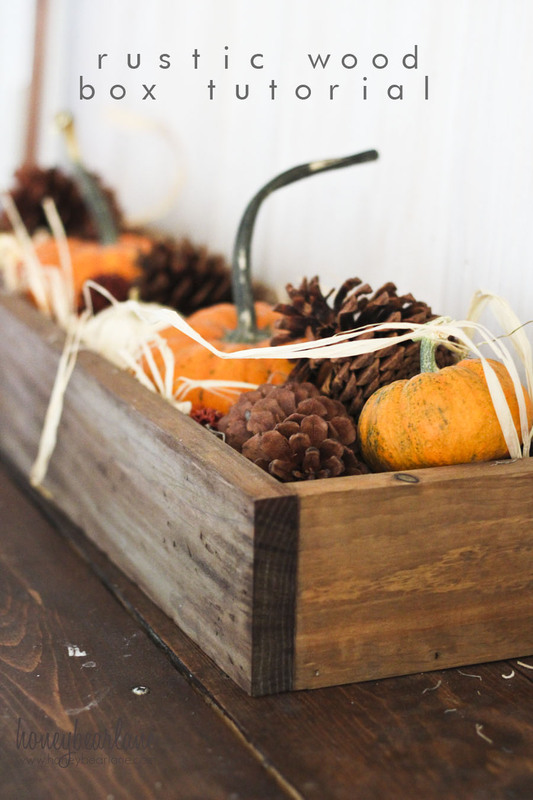 But wood boxes are incredibly handy to have for decorating, so I’m going to teach you how to build one so I can refer back to it later. Also I will teach you how to make it look old and rustic using some special techniques. But if you want to try making this, please read through the entire tutorial before starting because there is some day ahead prep that needs to be done. You should be able to get this wood cut at your big box hardware store, but if you have a miter saw, I encourage you to try it yourself. It’s actually super easy. Using wood glue and a nail gun (or screws), attach the two end pieces to the 1×6. Turn the box on its side and glue & nail (or screw) the 25.5″ pieces on either side. You might want to double check the length of the board to make sure it doesn’t need trimming or lengthening. But if your 1×6 is 24″ and the width of the 1x4s are 3/4″, it should be pretty close. Now you have a wood box! Couldn’t be easier. Now for the fun part. 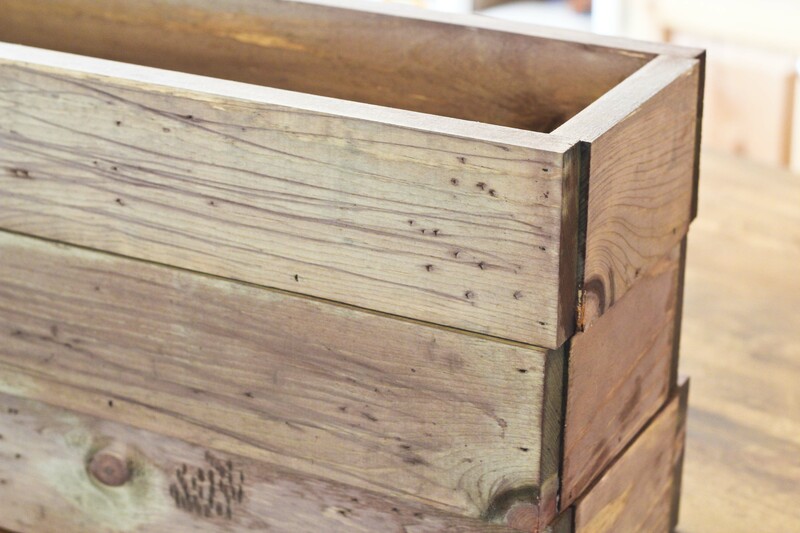 To make your box rustic, you will need to bang and scratch it up. Use a hammer, screwdriver, wrench, whatever to bang it up. I also use the backside of the hammer to scrape lines into it to kind of imitate saw mill lines. For the oxidation process, you will need to have been soaking your steel wool in the vinegar for a few days. Brew the black tea and steep in hot water for about 15 minutes, the longer the better. First you take a brush and paint on the black tea. 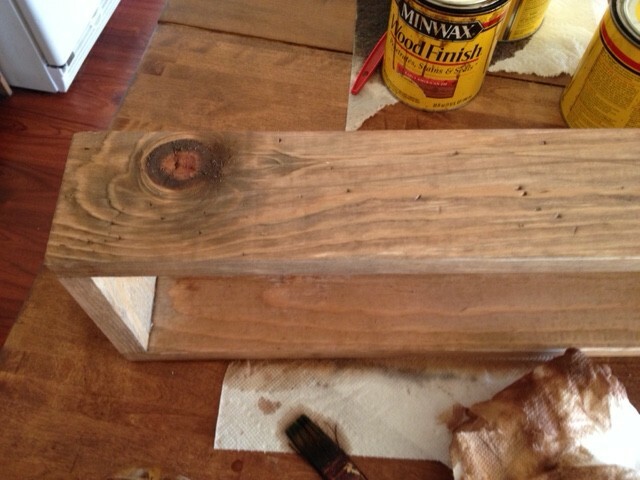 This helps bring out the tannins in the wood and also adds a dark black element to the stain. Leave it on for several minutes and let it dry. Then use another brush and brush on the steel wool mixture. Now set a timer for about 5 minutes. If you don’t set a timer, you will probably forget to wipe it off in time and then it will dry and look wrong. Believe me–I speak from experience. And PS it is stinky. Looks pretty cool right? Old and stuff? Well this combination kind of was different on different pieces of wood. So even though it looked great on this 2×4, it didn’t look as gray on my box. So this is where I add in the Classic gray stain and add that final gray element in. 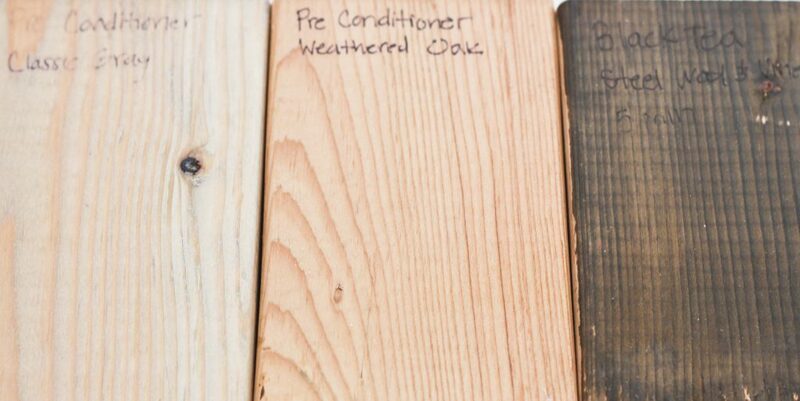 You can get the rustic look in different ways, as you can see on all these different tests I did, using Minwax Classic Gray, Minwax Weathered Oak, and the Black tea/steel wool combo. And for some reason it came out way darker on this 2×4 than it did on my 1×4. It probably is a different kind of wood. It takes differently to different kinds of wood. But my favorite method is the black tea/steel wool & vinegar/classic gray together. Plus I like that the tea/steel wool combo is relatively safe and non messy so my kids can ‘paint’ if they want to help me. It doesn’t have fumes, but it does have a weird kind of gross smell. Also if you want to save the black tea, put it in the fridge because it will mold if not. Let the box dry for several hours and then you can seal it with a polyurethane or just leave it. The poly will make it look shinier, (except if you use a satin finish it won’t really) and it can bring out the yellow tones, making it look less gray. That’s it! 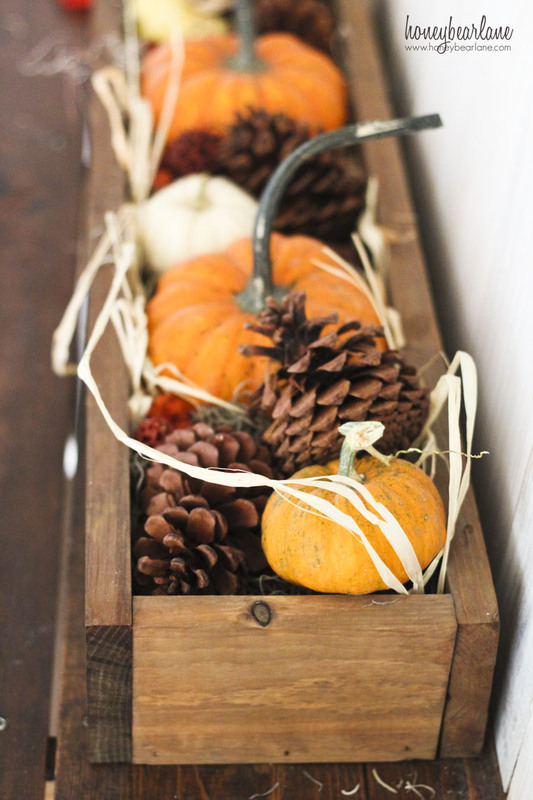 That’s your rustic wood box. And such a gray beginner to wood building project, you will feel more confident in moving on to bigger things. may anyone get that kind of info in such a perfect method of writing?